I am so happy to be part of this blog hop! My very dear friend and business partner, Ann Butler, is celebrating her birthday! Ann is not only an extremely talented designer, she also has multiple product lines with Unity Stamp Company, Clearsnap and Earth Safe Finishes. Larissa Pittman, who runs Ann's design team, wanted to surprise her with this birthday hop so, she contacted the rest of the design team and a few of Ann's friends to join in on today's blog hop. 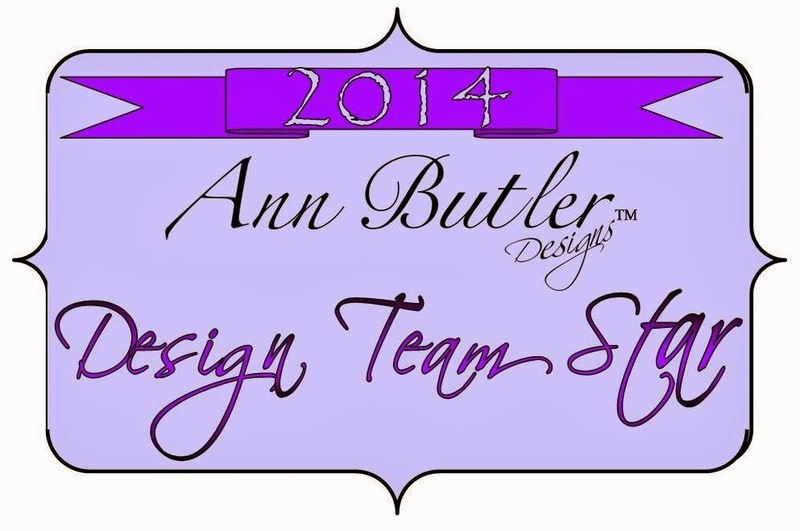 The projects that you'll see were created using products from Ann's various product lines. 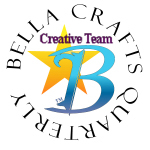 So, grab your favorite drink, put your feet up, and enjoy the fabulous projects that this talented group of ladies created in celebration of our friend's birthday!!! Ann Butler Faux Quilting 1" Doily Picnic Stamp Set by Unity Stamp Co.
Ann Butler Faux Quilting 1" Diamonds & Plaid Stamp Set by Unity Stamp Co.
Ann Butler Faux Quilting 1" Leaves All Over Stamp Set by Unity Stamp Co.
Pattern paper 6" x 6"
Cut pattern paper and cardboard 6" x 6". Adhere pattern paper to cardboard with Zip Dry glue. Stamp "Notes" on pattern paper with black inkpad. Ink edges of pattern paper with Aquamarine. Cut another piece of pattern paper 2"W x 3"H. Repeat step 2. Adhere pattern paper to large clamp. Tie ribbons around the handle of the large clamp. Adhere butterfly button with glue gun. Add flowers to pattern paper with glue gun. Attach pad of paper to pattern paper with large clamp. Labels: Ann Butler Designs, Clearsnap, Earth Safe Finishes, Lisa Rojas, Stampin' Queen Creations, Unity Stamp Co.
Lisa she is going to love that you are part of this special hop. :) Thank you my friend. Oh my goodness Lisa I love this project!! Thank you so much dear friend for being part of this wonderful birthday surprise...love you!! xoxox! What a cute clipboard & thanks for sharing how to make one. I'm going to become a new follower so I can make one later.